Having sold more than two million albums (and counting), Kutless are one of the world’s biggest Christian bands. Hailing from Portland, Oregon, the band last week released their eighth studio album, Glory. You can catch up on my review of the album here. I got to spend some time talking to lead singer Jon Micah Sumrall about Glory, how the album came together, and the hope for a revival in Portland and other cities around the world. SAM: Jon Micah, where in the world are you? JON MICAH: I’m home in Portland, Oregon. I just flew home late last night and I’ll be home for two days, then back out on the road again! SAM: Well Glory is now out in the world. You joined Kutless fourteen years ago, and since then you’ve sold over two million records. Did you ever imagine that you’d be still going in 2014 and releasing your eighth album? SAM: Yeah! How has God been growing you over that time? JON MICAH: Oh man. I think as you grow older, especially as your family grows and life happens, you learn a lot of lessons. I’ve got two kids – a nine year-old and four year-old – and they’ve taught me so much. Just raising them, and spending time with them. Definitely learned a lot just through life. But also y’know being on the road and travelling we meet a lot of different people, we see a lot of different things, we’ve been in a lot of different cultures and I think experience is one of the greatest teachers you’ll ever find in life. As you experience things and see things firsthand, it really shapes your perspective and worldview to a certain degree. I know that as a twenty-one year-old first heading out on the road starting to tour professionally, to now, the world has changed a lot in the last decade-and-a-half. But also I’ve definitely grown a lot and I think learned a lot and through that I’ve grown spiritually. I’ve grown mentally. There’s things now that I look at and I want to handle and I think ‘I don’t know if I could have done that ten years ago!’ and that comes from experience. Unfortunately, sometimes those experiences are difficult experiences. But you liken it to physical training. If you work hard in physical training, and practice is uncomfortable and it’s painful, but you push yourself, that causes the greatest growth. I think often times when we’re going through difficult stuff we come out on the other side and go ‘Man, I learned a lot’. SAM: Yeah. The first taste we heard of Glory, You Alone, it speaks of what Jesus has done at the cross. It says there’s no other way to God but through him, what’s the story behind You Alone? SAM: Where did you record Glory? JON MICAH: Most of it was recorded right here in Portland, Oregon, right in the area we live in. We’ve got a good friend of ours who has produced our last couple of records. He’s got basically a studio down in his basement. So we recorded the bulk of it there. We did drums up at a studio in Vancouver, Washington which is just over the river from Portland, about 45 minutes away from where we live. So most of it was done right here. We added a song kinda last minute on Never Too Late and so some of those tracks were done in Nashville but most were done here in Portland, Oregon. SAM: And how were you aiming to expand your sound as a band on Glory? JON MICAH: Well one of the challenges for us as a band is that we’ve been known as a worship band, and we’ve been known as a rock band. Those two things don’t always go hand-in-hand together. Not everyone sees those things as being compatible. And so, what that created was kinda this back-and-forth where we would release the record, and maybe it’d be a rock record. Then we’d release another record and it would be a worship record and it would be titled as such. So then, people begin to ask us, are you guys doing a worship record or a rock record? What is this record? So we’ve been really trying hard to reduce this polarisation between these two records and just create worshipful music that’s still rock, that’s reflective of the style of music that we like and enjoy and is reflective of who we are, but that is still clearly worshipful and worshipping God. Not that the other heavy stuff doesn’t worship God, but it’s not of the congregational nature that people could hop right in and sing together. But with this record, we really intentionally tried to write songs that would be easily acceptable to sing, that worship leaders could play in church, songs that are worship songs, but wasn’t necessarily a “worship record”. I look at Chris Tomlin for example. If Chris Tomlin puts out a record, it’s Chris Tomlin’s new record. And yet, you go ‘oh all those songs are worship songs and they get played in the church because they’re all new original songs’, and doesn’t have to title it a “worship record”. And so we’ve kinda taken that approach of making our sound and taking what we do – worshipful songs. So we don’t have a title of a “worship record” but these songs are clearly worship songs. So that’s the approach we took and I think we accomplished it. I’m excited to see, I hope these songs are used by people and sung by people and I hope they’re blessed by it. SAM: You’ve got so many albums under your belt now, what keeps you going as a band? Is it coming back to Scripture and being reminded of God’s glory there? JON MICAH: Yeah. Honestly, that’s the reason this album is titled Glory. Really, all of these songs look at different attributes of God, and who He is. We really tried to keep the lyrics and the content of the songs prominently focussed on Him. Our tendency as artists sometimes is to focus on ourselves. ‘I feel this way, I feel that way, and God I need your help because I feel this way’. And we tend to stay in that spot. So we again, wanted to focus this completely on God and on Him alone. The tendency is when we’re on the road travelling, we start thinking too much about ourselves and how we feel and the things that aren’t going well in our lives. Your tendency is to get really burdened down with that. But I think the things that keep us going is when we see the things that God is doing – lives being changed, or when we see our music impacting people. When we see people getting saved! All that kind of stuff: we go ‘man, that’s what this is all about. This is why we’re still on the road. This is why we’re still doing things, travelling, away from our families much of the year.’ So that’s been a real encouragement to us. Honestly, I really believe we’ve been called to it, this is what God has for us and has created us for and so we’re just chasing after that and trusting that God will continue to provide the strength that we need to fulfil it. SAM: I’m keen to ask about the album cover for Glory. You’re standing on a beach with some amazing boulders behind you. Where was that photo taken? JON MICAH: That was taken on the Oregon coast. It’s about an hour-and-a-half from where we live. When we actually started out this project, we had a friend of a friend who had a beach house out there, and they allowed us to stay in it for a few days. And that’s where we started writing the record. So we got together and did a writing retreat with the whole band, and with our producer. We just hunkered right there at this house overlooking the beach with some of those – the famous rock out there’s called Haystack Rock. So we started just writing. That’s where the songs first began and where the whole thing began to take shape. And so we thought it would only be natural for us to go back there and do our photo shoot there, and do our album cover there. Plus it’s a very inspiring place, it’s so magnificent-looking. We thought ‘let’s go take some pictures down there!’ and sure enough I think it really turned out fantastic. I think sometimes nature can reflect just a little bit of God’s glory. So we felt those photos were perfect for the cover. SAM: I’m guessing it was low tide? It seems like it was low tide. JON MICAH: Ahhh we had a little bit of both. We shot all day. We had some high tide and some low tide. But those rocks, they’re massive. The big one kinda poking up there is several hundred feet tall, so whether it’s high tide or low tide, they stick out of the water just fine! SAM: Well it looks like I need to go to Oregon for a holiday and check it out myself! JON MICAH: Yeah, it’s pretty great! JON MICAH: Yeah that’s basically it, I know it sounds simplistic. As a template one of the things we did… Our church teaches exegetical Bible teaching which means they start in Genesis and go all the way through to Revelation. Chapter by chapter, verse by verse straight through the Bible. So while we were writing our record, our church Bible study was in the book of Revelation. We came across Revelation 4, where four and twenty elders come before the throne of God and they cast their crowns before the throne and they say ‘Holy, holy, holy is the Lord God Almighty who was and is and is to come’. As we read that passage we kinda talked about it, and were looking at it and thought – man, I bet you that is going to be one epic worship service. [Laughs]. All these guys are standing around the throne of God, looking at him, and basically all they can say is just – wow! Holy! Holy! Holy! And so we thought that would be the most epic rockin’ worship service ever. So we kind of used that as a mental image to go – I wonder what that would sound like? I wonder what it would be like to be there in the midst of that? So that first track, Revelation, came out of that a little bit, just us using our imagination going ‘I wonder what that might sound like?’ We tried to create a song that in our imagination fit into that environment and we used that theme throughout [the album]. Dwelling on what would it be like to be in the physical presence of God, in heaven, seeing him face to face. What are the things we’re going to focus on and be inspired by? And how do we respond to that? So I guess that kind of gives a little bit of a template and foundation for the record, and again, references why the title is Glory. SAM: What have you got planned for the rest of the year, any tour plans? JON MICAH: Yeah, we’ve got a handful of shows. We’re kinda flying around here in the States right now. Just a show here, a show there. Then we’re launching our next big tour at the beginning of March. We’re going out with Audio Adrenaline and we’ll be out for about three months with those guys. And then after that we’re heading to summer festivals and fairs and all that kinda stuff. So we’ve got a pretty busy schedule. I do believe we have a little bit of international stuff in Europe in July that we’ve just scheduled. We’re still trying to get some of those details worked out. Yeah, we’ve got a very very busy year coming up for us. SAM: Well if you ever manage to get to Australia, you’re very welcome to visit. JON MICAH: [Laughs] We love coming down there, it’s been a few years since we’ve been down to the Southern Hemisphere. But we definitely would love to come back down there, you guys are a bit of a hike though. SAM: Yeah, it’s a bit far. But that’s alright… The last track on the album In the City, it seems like a real reflection of Matthew 28 where we see the great commission. Is that what you were going for on that track? JON MICAH: Yeah, y’know one of the things we’ve been really focussing in on more and more with our ministry and our concerts and our music is just evangelism. Y’know, fulfil the great commission, it’s something God’s called us to. We’ve just seen some wonderful spectacular evenings where people have been very moved by the night and really meet Christ for the first time, and it’s been fantastic. That song we hope becomes a prayer for people in their own city. We wrote it in the perspective of our city, the city we live in, and we want revival in our city. We want to see God move in this city. We want to see souls and lives changed in this city. So we hope that that’s kind of a call to action to other people in other cities as well, no matter where you are in the world. That you can look at your city and go ‘Man, I want to see God’s hand move in my city’, and then being open and willing to make a difference in your city, being the hands and feet in your city to help make a difference and help change it. SAM: And what a great encouragement to finish the record on that note as well. SAM: Jon Micah, thanks so much for your time today. 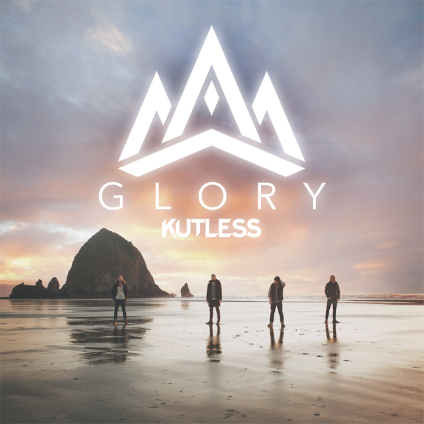 Glory by Kutless is out now on iTunes. Posted in MusicTagged christian, Glory, Interview, Jon Micah Sumrall, Kutless, Oregon, Portland, You AloneBookmark the permalink.